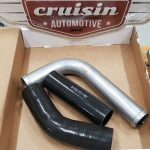 Cruisin Automotive has brand new items in stock. 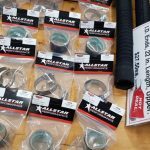 From US made, Allstar Performance, we have numerous radiator hose ends and stainless steel clamps in stock, and in various sizes. 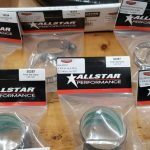 Allstar Performance is your number one choice for Race Car parts and fabrication parts for any type of motor sports you may be involved in. Allstar Performance knows it takes hard work and dedication to make it to the winners circle. 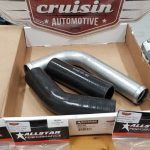 As true racers and hot rodders, the team at Allstar Performance uses that same formula for success in designing and manufacturing quality components for your race car or hot rod.